For Heart Warrior Children - to support their CHD and to raise awareness. 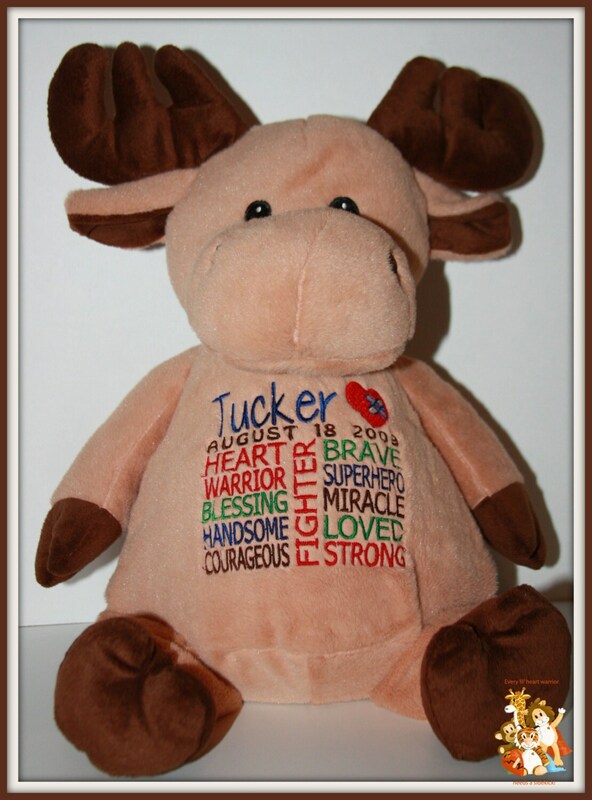 Each pet is personalized with the childs name. Please indicate whether you want the design for a boy or girl. Each Warrior Pet brings a smile to the face of these little children that have gone through the pain of open heart surgery. I received this item today and am totally blown away! 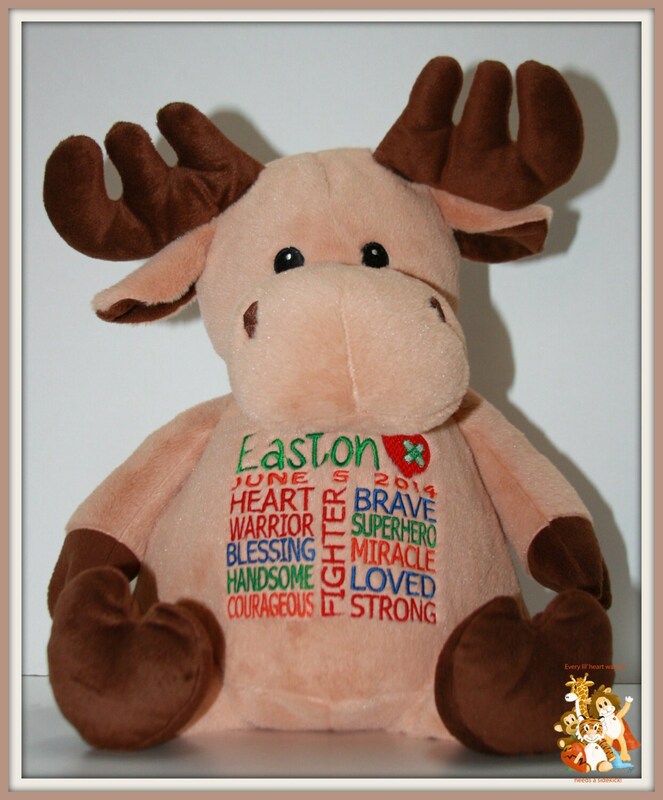 It is a wonderful gift to give to a recuperating 5 month old in ICU. A gift I am sure he will keep forever! Thank you!